Join Zuuzs.com For Two Chances To Win A Kindle Fire...Easy as Humble Pie! I love a good contest, and this is one I just found out about today. It's not often that a good giveaway will be open to Canadians and USA too. Have you heard of the online store called Zuuzs? "Just in time for Christmas, zuuzs makes it easy to shop at your favorite online stores, share and earn money on your purchases, all in one place. Share deals and more with your family and friends without having to leave the zuuzs website." "Welcome to zuuzs, the place where friends meet to shop, share and earn together. 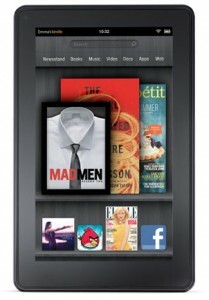 Want more ways to win the Kindle Fire? Well, invite 5 friends now to join zuuzs (why not even 10 or 20?)! For each friend that joins zuuzs, we'll give you one more entry into the contest!" After you've finished your zuuzs.com membership login, you will find a unique url in the right sidebar (main page). Copy and paste that url into your own special blog post about this giveaway. The purpose is to share the contest love with your friends and readers. Anyone who joins zuuzs.com through your personal link will also be entered into the contest. Once posted, send your blog post url to bloggerconnection@zuuzs.com. Fingers crossed for an early Christmas prezzie this year! *This is not a sponsored post. It was written to generate interest in the Kindle Fire ebook contest on zuuzs.com- and to gain eligible entry into the contest myself.